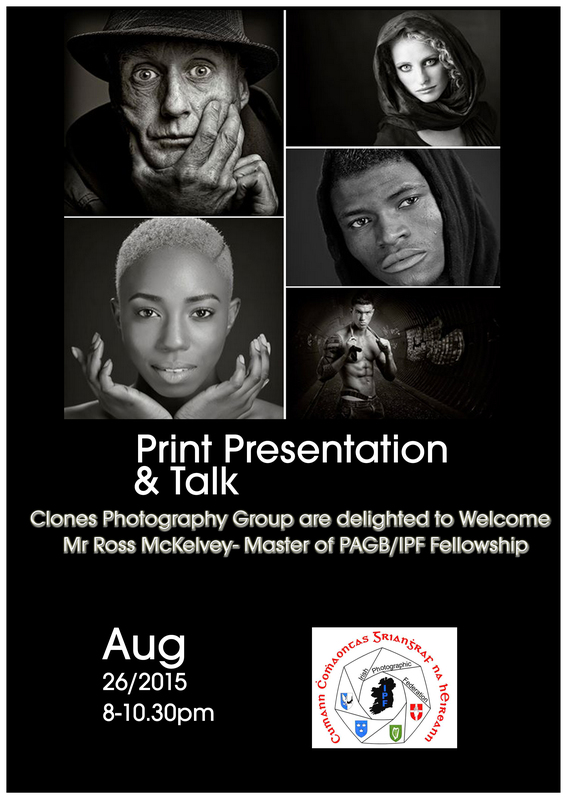 In May 2014 he was awarded the Fellowship of the Irish Photographic Federation (FIPF) – the highest award they confer, for a Panel of 20 monochrome portrait prints. In June 2014 he received the Excellence FIAP (EFIAP) distinction from the Federation Internationale De l’Art Photographique, in recognition of having 250+ prints accepted into at least 20 different Countries, collecting numerous awards and medals along the way. Currently no other photographer from NIPA holds the EFIAP Distinction.